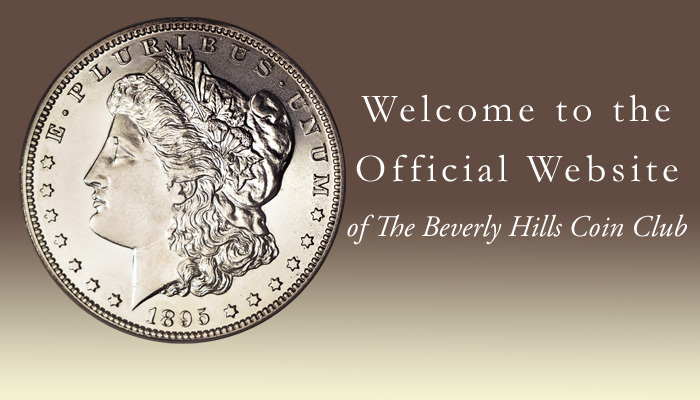 Welcome BHCC Online | Search the Beverly Hills Coin Club Website. - With possibly even more to come! Copyright 1999-2015 Beverly Hills Coin Club. All material at this site is copyrighted and may not be reprinted in whole or in part, or stored, or transmitted by any means, including electronic. All commercial use, transmission and reproduction of this site is strictly prohibited by national and international law.